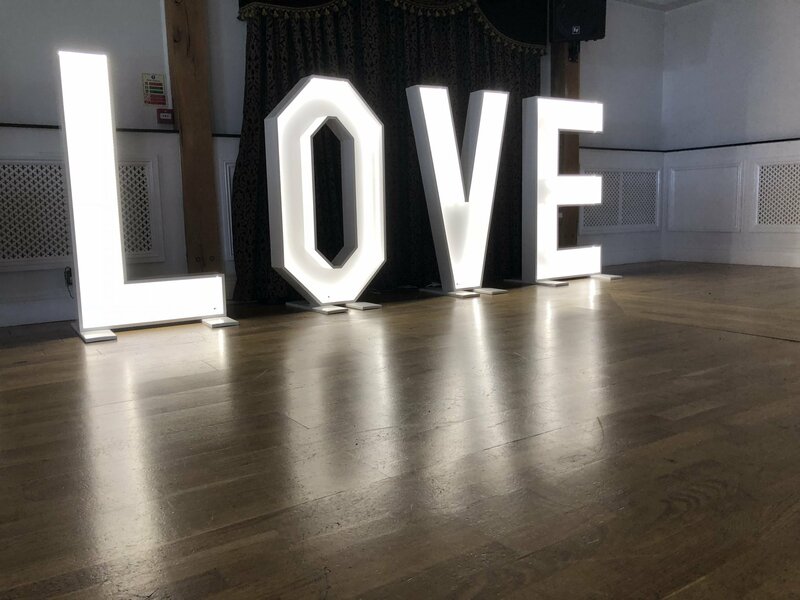 Hire Five Foot Giant LOVE letters – Our Five-Foot Giant LOVE letters are 1.5 metres high and perfectly painted in white. The illuminated love letters can be hired for the full day and evening or just the evening, we work around you. We deliver throughout the Hampshire, Surrey, Dorset, Sussex’s, Wiltshire and Berkshire area. What better way to transform a plain wall than your names and initials in lights! This special effect uses a high-powered LED projector with a one-off glass ‘gobo’ manufactured just for you. You even get to keep the gobo as a memento of your day. 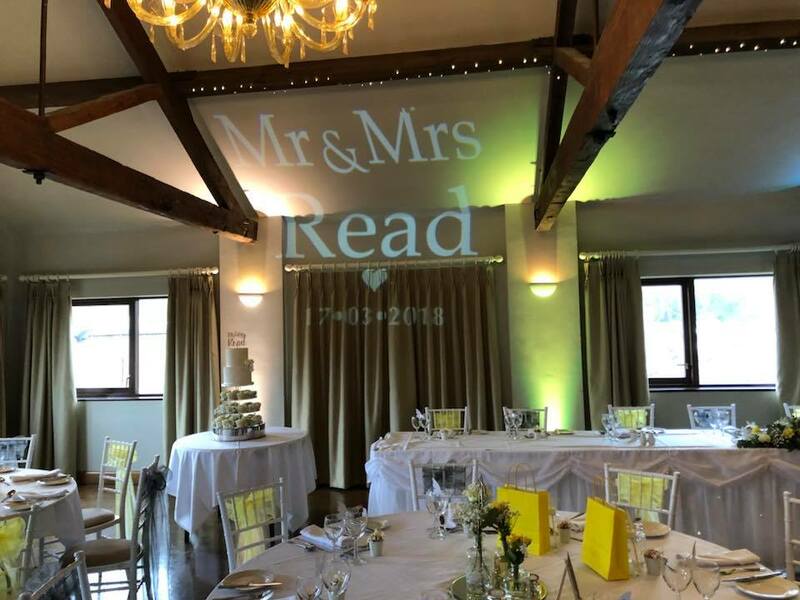 New for 2018 we now offer our bespoke and elegant Pure White LED light up Giant MR & MRS Letters. 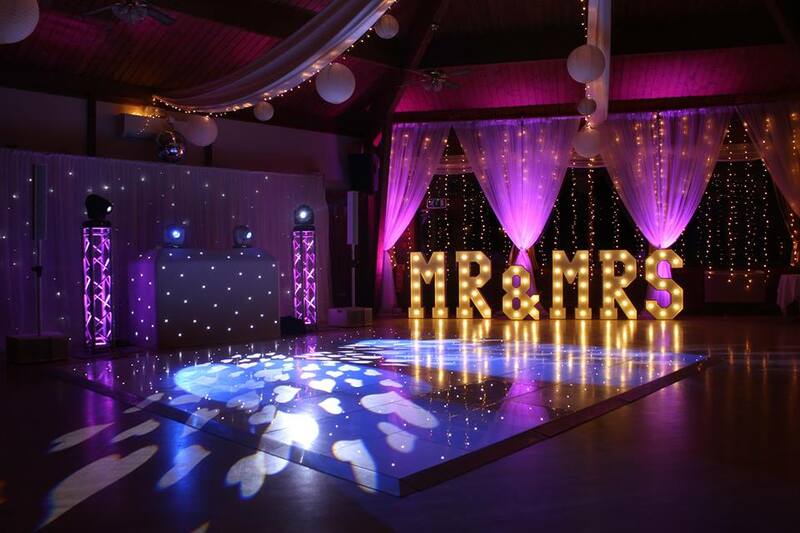 Hire of our MR & MRs Letters are an ideal backdrop for photographs and give out a really good glow of light. The illuminated Giant MR & MRS Giant sign can be hired for the full day and evening or just the evening, we work around you. We deliver throughout the Hampshire, Surrey, Dorset, Sussex’s, Wiltshire and Berkshire area. 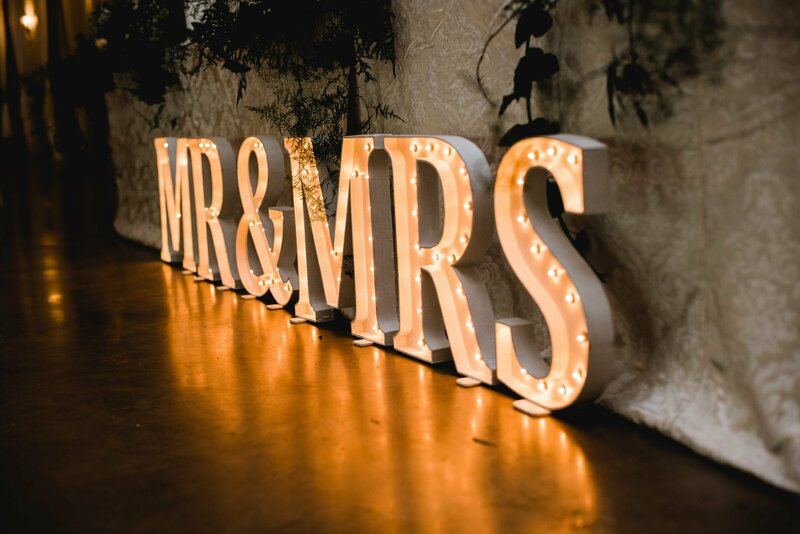 Light up MR & MRS are a great visual backdrop and provide many photo opportunities as well as lighting up that first dance, Wedding Breakfast and wedding reception! Hire of Mood Lighting Purpose & Use – To create a coloured wash of light on a wall or feature(s) of a room. For Corporate Events, Weddings and Parties in Hotels, Bars & Halls where stylish ambient lighting is required to give a dramatic sophisticated look to what maybe a bland room or to enhance the architectural features of an already classic setting. Choosing your favourite colour for an event is of course what excites most customers about uplighter hire. Mood lighting ensures your special occasion is colourful and giving your event a professional appearance to WOW your guests. 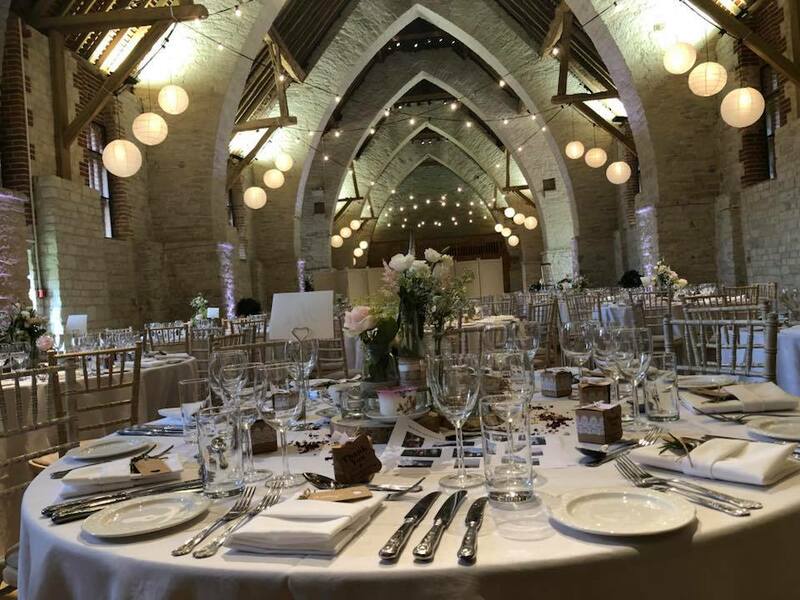 Perfect for any occasion, especially for Weddings, Civil Partnerships and Corporate events. Battery life is twelve hours. Primary colours (red, green, blue) last up to ten hours. Secondary colours (orange, purple, pink, yellow etc.) last up to ten hours depending on colour setting. White lasts up to eight hours. For longer events the units can be wire for all day use. Set up is included and a delivery charge will be applied to the cost. Free delivery and set up within 30 miles of Portsmouth Hampshire. 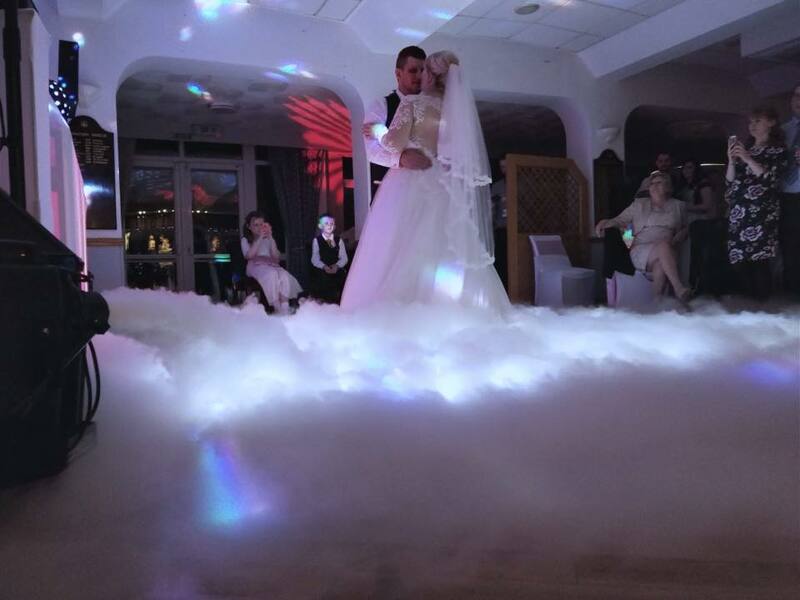 We use real dry ice to make a cloud that will stay low to the dance floor to create a look that will make your wedding guests go “Wow!”. If you have ever watched TV Shows like X-Factor, Britain’s Got Talent or the Voice you will have seen this effect and we use the same machine to make your wedding look amazing. Dry Ice is solid carbon dioxide that is heavier than air thus providing a low blanket of fog that will amaze your guests. Another bonus of using dry ice is it will not affect the fire alarms in your venue meaning you can use this at ANY venue. 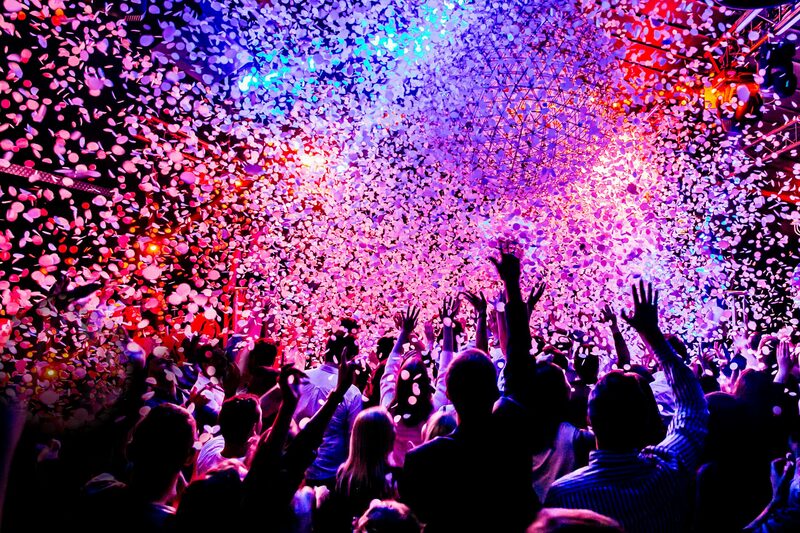 Confetti throwing is one the most iconic parts of a wedding day, so why not make your first dance really memorable with our super confetti canons? Available in plain white, or a silver and white mixture, our handheld air powered canons will throw confetti high into the air, showering down on you and your guests as you dance. The effect is really amazing and the photographs will look great too!